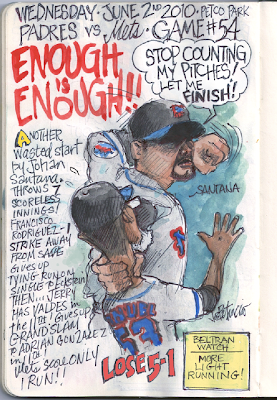 My Mets Journal: What A Grand Loss! joe, very nice work as usual; i'm a big fan. 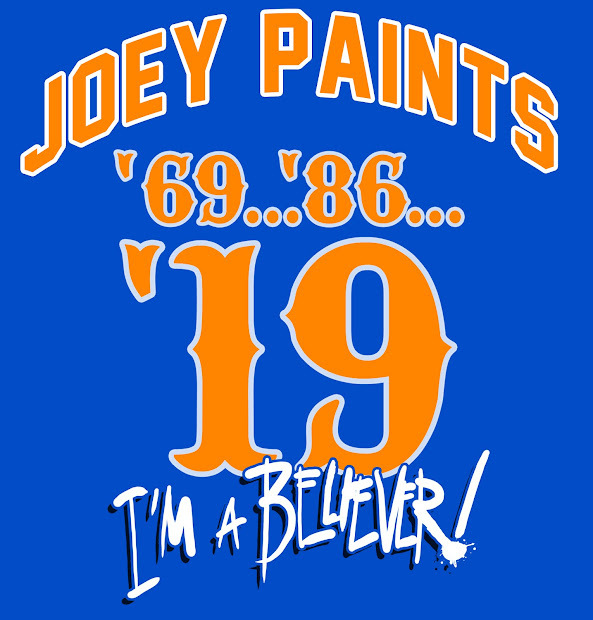 if you didn't give up drawing and/or being a mets fan after last night, you never will. i've never been so angry with them...couldn't sleep! Listening to the fly-ball clear the fence last night, the silver lining was knowing you'd have a good cartoon up in the morning. Santana said today he'd throw 150-200 pitches if need be. I'd like to see that, right after he plays out the art above. Santana should change his name on the back of his jersey to Pelfrey. Maybe then he can trick the Mets into giving him some run support. By the way Congrats Joe I see you reached the century mark with followers. 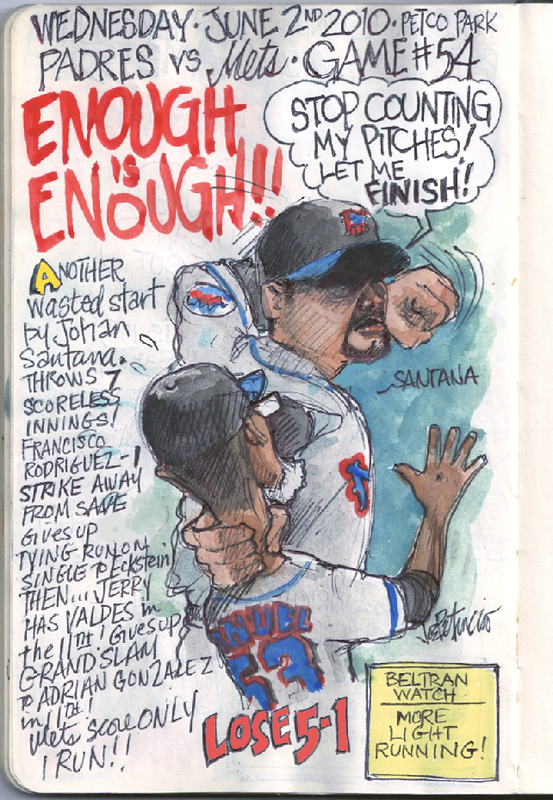 I would love to see this season of drawings in a full color book... although to be honest, i probably would only want it if the mets won the world series. If you make it through the year, or most of it, let me know if you want help publishing this. Your work is pretty amazing. Folow you everyday Cuz. You better not stop this year. You journal blog is part of my morning routine! Regards to the Fam. Thanks for following this. it's amazing. The fans will keep me going I'm sure. Not going to stop! Give everyone my love cuz.